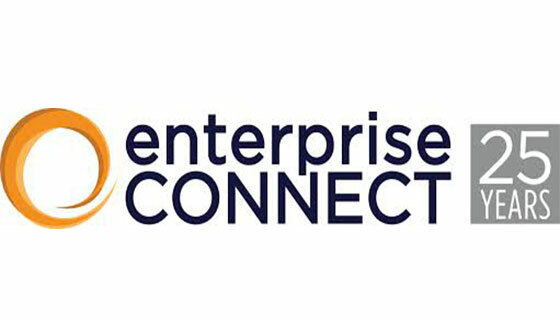 Another great Enterprise Connect conference has come to a close and, as always, it was a whirlwind of sessions, meetings, demos and announcements. This year saw a bumper crop of announcements: Cisco re-launched “Project Squared”, its UC endeavor, as “Spark”. 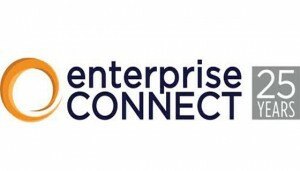 Interactive Intelligence announced their own UC effort called PureCloud Collaborate. Microsoft unveiled the new Skype for Business and that it was retiring the much-hated (and WebRTC-abstaining) browser, Internet Explorer. 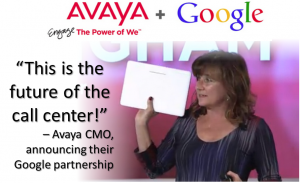 Avaya announced a new cloud call center partnership with Google. I’ll try to describe some of the news and trends that struck me the most. Keep in mind, though, that I saw only a fraction of the show, focusing on my particular slice of the communication landscape. So this is not a list of “most important” things from the show, just most important from my perspective. If you want to build something using WebRTC, you have plenty of platforms to choose from now, three of which were exhibiting here: Vidyo, Twilio and CafeX. That last company announced a new investment by Intel, by the way. The big question with WebRTC remains support from the browsers. 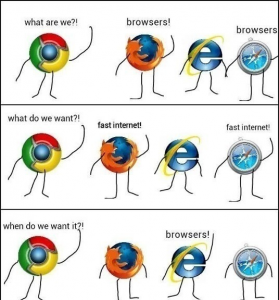 As blogger Tsahi Levent-Levi points out there are really only 4 companies that matter – the browser makers. On that front, Microsoft announcement of IE’s retirement is a big deal. I think their main motivation is to cast off the baggage of a brand that was universally disliked and start fresh. But the big question is whether their new browser will support WebRTC (possibly via ORTC, a standard they’ve recently endorsed, and developed by Canadian start-up HookFlash). That would leave Apple’s Safari as the lone hold-out. Twilio announced that their SIP Trunking service is now open and ready for business. 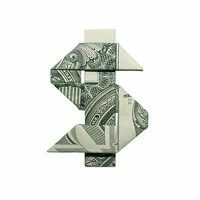 This isn’t about improving the technology of SIP trunks, but rather about removing the contractual and pricing barriers that have surrounded them. This makes sense for Twilio, in that increasing the penetration of SIP to the enterprise makes their other SIP-delivered services more attractive. We’ve long extolled the advantages of SIP on this blog (See here, for example) so I applaud the move. I think of it as analogous to Google investing in cheaper/better internet access. Each company is trying to raise the tide that floats its own boat, but of course other boats benefit as well. Their “TaskRouter” offering had already been released a few months ago, but this was my first chance to take a look at it. In a panel, Director of Product Marketing Al Cook described it as “the beating heart of the call center, made available as a vendor agnostic cloud API.” TaskRouter was part of a story he was pitching that, in some cases, companies are better off “rolling their own” call center that is custom built for their needs, rather than taking something off the shelf and adapting it. TaskRouter and SIP Trunking are examples of what has become Twilio’s basic MO: To take every component of the communication industry and roll it out as an API-fronted, consumption-priced product. Avaya always has an enormous presence at EC. In fact, to get to the conference you have to walk through the “Avaya Tunnel” where, for 200 feet, you’re surrounded by banners, and giant projectors immersing you in “The Power of We”. This year Gary Barnett did the keynote and rolled out a pretty big announcement: Avaya Delivers Contact Center as a Service for Midmarket With Google. This is building on a relationship they unveiled late last year at the analyst conference, which I covered here. I’ll write more on this later. InIn had the most surprising announcement. 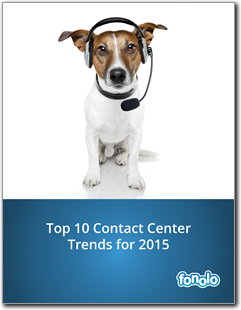 Everyone expected PureCloud to be unveiled as their new cloud-based call center. But instead, they unveiled PureCloud Collaborate, a UC application. Folks were puzzled as to why they would want to take on this new battle (against industry heavyweights Microsoft, Cisco and Google) before arming themselves with a proper multi-tenant cloud call center. Their current cloud offering, CaaS, while strictly a single-tenant model, has done amazingly well for them, yielding 67% CAGR from 2010-2013 (press release). So I’ll give InIn the benefit of the doubt on this one. The issue of data security for cloud-delivered services has become very complicated and is developing its own language: “data at rest”, “data soveriegnty”, “data comingling”, etc.. In one session, Genesys CMO Reed Henry explained that some companies, particularly in the EU, are now too burdened by regulations to do anything via cloud service. I’ve noticed that the terminology around cloud has gotten muddled as well. Cloud used to mean a hosted service, delivered over the internet, from a single-instance multi-tenant application. But now, people freely talk about “single-tenant cloud” (i.e. InIn’s CaaS) . And I have yet to get a good explanation of how a “private cloud” differs from a traditional “managed services” deployment. I wonder if the term “cloud” will eventually lose all meaning. 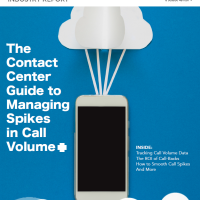 The cloud-based contact center market is expected to continue to grow from $4.2 billion last year to $11 billion in 2019. Yet, the audience heard a different side of the story during the “Executive Forum”, moderated by Sheila McGee-Smith. Cisco’s Chris Botting proclaimed “Premise isn’t dead!”, and said that we should be thinking about a 20 year time horizon in some industries. That’s a sobering thought. 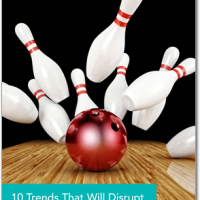 It may be true that “software is eating the world”, but meanwhile the big question in our space is whether CRM software will eat call center software, or vice versa. On one hand, several companies have added voice capabilities to Salesforce via plug-ins. On the other hand, call center vendors like Cisco and Avaya are adding “context stores” to their product line, which basically overlap with what a CRM usually does. Part of the reason call center vendors are going this way, is the increasing buying power that CMOs have today, relative to CIOs. 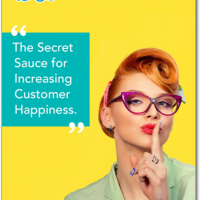 As analyst Ian Jacobs (one of our Top Analysts to Follow) says, “It’s about who is going to own the ultimate customer Truth”. 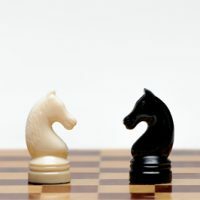 One call center executive defined the difference as “the system of engagement” vs “the system of record”, and said the former is the interesting battle ground. I have to wonder how firm or permanent that distinction is.